Well established home with spacious living areas and all of the features and fittings you'd expect for your holiday visit and access to netflix for those quiet nights. Great location on a secluded back section featuring a large lawn and attractive garden setting. Perfect for sitting outside enjoying a meal while soaking up the view. Driving up the private driveway you are greeted with a distinctive split schist stone clad home. There is plenty of off street parking with space for extra cars or a boat . Two bathrooms - one of which is new . The laundry has a new large washing machine and a dryer plus clothes horse. Separate second toilet off the laundry. Due to a few bad eggs, we ask that no students apply - sorry! We have loved every minute of our stay, the home is warm and cozy, a home away from home and we will back back again next year. Clean, well appointed, great quiet location and stunning views to wake up to every morning. Helpful and friendly owners. Clean and homely place with all that we could ever need for a relaxing family holiday. Was a nice touch having a Xmas tree up. Thanks for a wonderful stay. This house has spectacular views from the dining area and outisde which made it a pleasure to simply sit and look out. We loved the spa and would have loved to use the wood fire if it hadn't been such warm weather! The house is much bigger than I expected - would be perfect for the extended family. 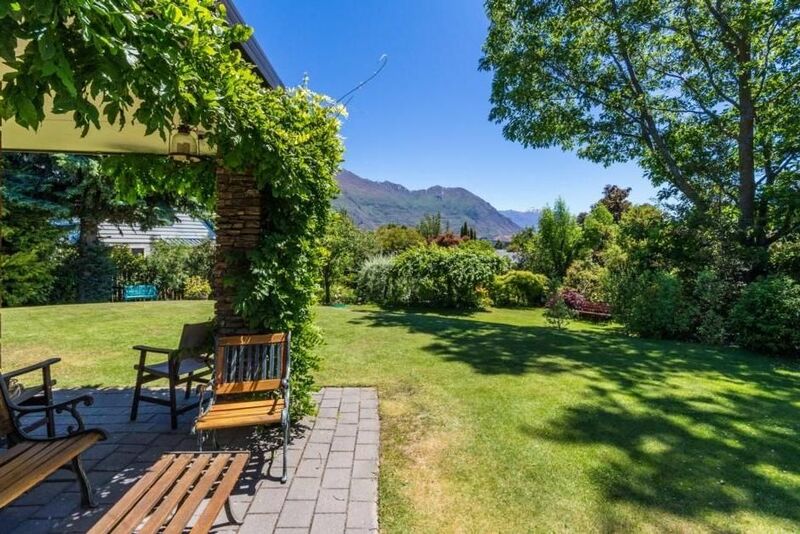 We hope to return to Wanaka next year and hope this place is available then too! Beautifull house, garden, location and view and when the second bathroom is working it will be even better,but did not effect our enjoyment of the house.